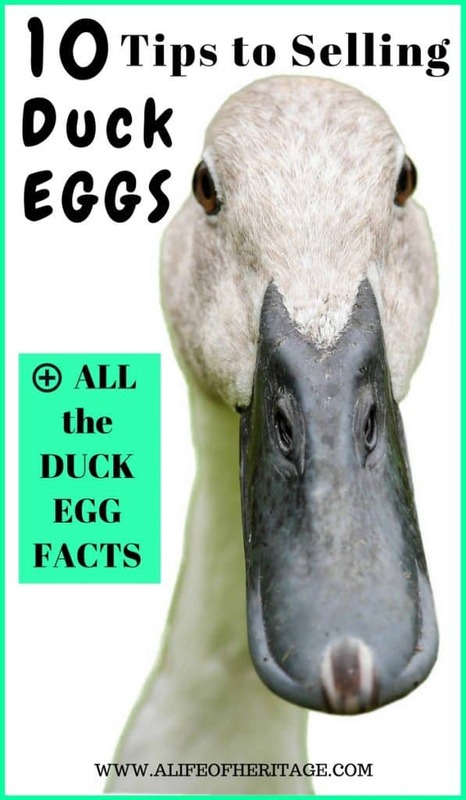 Are you curious about duck eggs? All the information you want to know: taste? odor? cost? How to use them in recipes calling for chicken eggs and all the nutrition facts. Find all the answers to your answers here. Or do you have excess duck eggs and want to earn a little income from them? 10 tips right here ↓ . It’s a funny thing, these duck eggs. When that first duck popped out that first egg for Adam and Eve, I’m sure that they just knew how special it was. But around our area and with my wonderful family (hello, family! ), they turn their nose up at my fresh milk and duck eggs. And if I had heard them I would have said, “Of course silly! They are wonderful for you!” But they’re missing out. And you are about to be convinced of their wonder, so you don’t miss out! If you already know how special duck eggs are and are trying to sell them, hang on, there’s some really good info on how to stand out in the crowd of all the others who are selling eggs in your area too! Do duck eggs have an odor? When I collect duck eggs or pick one up to use, I have noticed a smell. It’s a duck smell. (Shoulder shrug.) But the insides of the egg smell (or don’t smell), just like a chicken’s eggs. Many people have noticed the ducky or “fishy” smell that emanates from the shell of a duck egg but the contents lack that same smell. Please don’t judge a duck egg by its cover! Speaking of cover, their shells are much tougher than a chicken shell and they are harder to crack. How does a duck egg taste? There are probably varying opinions on this, but I personally don’t think that duck eggs provide any different taste than a chicken egg. We’ve eaten them scrambled and used them in baking. Duck eggs do have more protein and less water volume than a chicken egg and this affects how fast they cook. They cook faster than a chicken egg and will become more rubbery if they are cooked too long. Their yokes are larger and could be said to be “creamier” as well. The protein bonds in duck eggs are much stronger than in a chicken’s and this makes them even better to bake with. The consensus seems to be that some people just have a “thing” about duck eggs but if put to the blindfolded taste test, they *probably* wouldn’t notice a difference. Duck eggs DO taste better! What is the Difference Between a Chicken and a Duck Egg? Eggs are eggs are eggs it seems to be. The turkey egg, guinea egg, and ostrich egg have been found to be similar to a chicken egg. So, is there really a difference between a duck and a chicken egg? The general consensus seems to be that duck eggs do in fact, taste pretty much like a chicken egg. More albumen in the egg. Baking? Your treats will be fluffy and lighter and have more lift. The list above gives pretty noticeable differences, but if you can get past their shell, you will find out that the duck egg is indeed quite good and has a very rich flavor! How Many Chicken Eggs Are Equivalent to a Duck Egg? One noticeable difference between chicken and duck eggs is that their eggs are much larger. In fact, when cooking, 2 duck eggs can be used for every 3 chicken eggs the recipe calls for. Duck eggs have about 9g of protein, compared to a chicken’s 6g, and also have a more concentrated source of omega-3s. They also are higher in vitamin D and choline. Because of their size, you will receive 130 calories, 9g fat, and 619 mg of cholesterol compared to the 72 calories, 5g fat, and 186mg cholesterol from a chicken egg. What does all of that mean? Your body will be given a slight advantage to fight inflammation, reduce the risk of chronic diseases and will have more support for bone health, healthy immune system, and blood sugar. Why are duck eggs so expensive? Chicken eggs are much more common than duck eggs, which, if there is a demand for them, will usually put them at a higher price point. Ducks also usually don’t lay as many eggs as a chicken does, which makes the cost of raising them higher than raising a chicken. Pricing eggs will depend on your area and supply and demand. The range of price for duck eggs is wide. They can sell from anywhere between $2.00-$12.00 a dozen, depending on where they are sold. And the only way to find out what you should charge for your eggs is by testing the waters. What are others charging for their duck eggs? Charge the same. If there isn’t anyone else selling duck eggs in your area, try a price and see how people respond. The price can be altered at any time based on the response received. As mentioned above, duck eggs are not as common as chicken eggs, so finding them may be a little harder. But that doesn’t mean impossible! Online: Craigslist, Facebook, and Instagram. Any of these online and social media platforms tell so much! 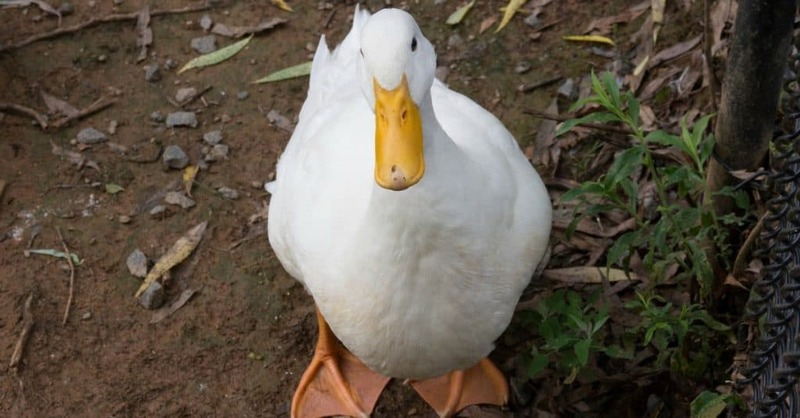 Keep your eye out for posts of ducks and eggs, then ask if they have any for sale! Or post a question in a local group asking if anyone in the area has eggs for sale! It’s definitely not impossible to find duck eggs! And truly? I think you will be surprised and pleased you gave them a try! This next section is taken from our Farm Fresh Eggs post. It applies to really anything being sold and it is very important considerations to think about when selling your duck eggs. 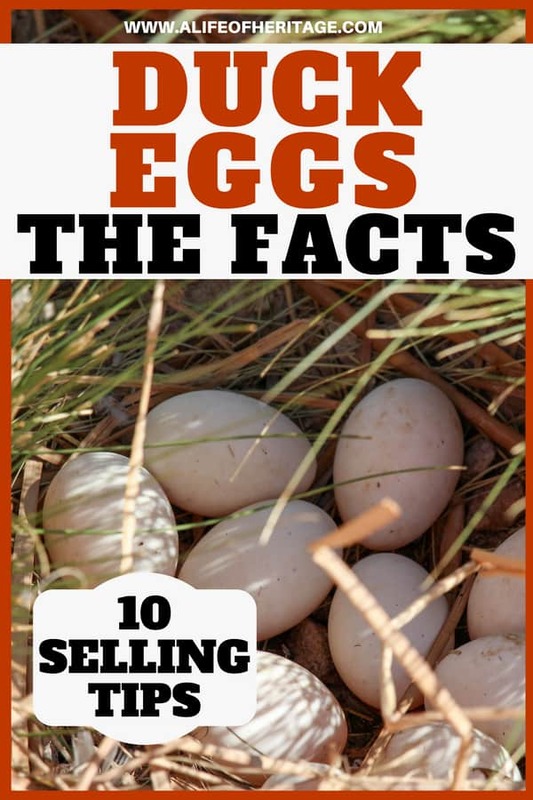 If you have an overabundance of duck eggs and desire for their eggs to not only be used but to bring in added income to your home, then carefully think through these next questions. When dissecting a story in English class, we had to ask these very short and concise questions. By asking and answering them, the story was broken down into the base elements of what the story was about. And in our situation of wanting to sell more duck eggs, we know that the answer to “WHAT are we selling?” is quite simple: Eggs. We desire to sell our eggs at a reasonable price. WHO Are We Selling Our Eggs to? We can get more insight into our customer by asking this question. Who are the people that are interested in duck eggs and where can they be found? And even more specifically, who are the people who love to bake, or which chef at a fancy restaurant uses duck eggs in their high-end meals? There is a wonderful, new trend of people of all ages, desiring to have control over the food they feed their families. These are the people to target. WHERE do they hang out and how can their attention be caught to pay attention to your eggs and buy them? When you’ve found the place or places you can sell your eggs at or through, the fun begins! And then we can begin to answer the question: HOW? How can we sell our eggs effectively and for the most profit? The Poultry World brings up very good points that are often overlooked when thinking about selling eggs. What usually attracts people to items, objects or places? See, Hear, Touch, Taste, and Smell. Our five senses. And these can be utilized in helping you sell your eggs! In any type of schooling, they have found that children (and people of all ages!) learn the best and respond the most when all senses are engaged. And this is also very helpful when attracting customers! When setting up a stand at a farmer’s market or taking a quick picture of your eggs to post somewhere, what can you do to make it LOOK appetizing, pleasing, or engaging? Would using clear egg cartons show the beauty of your eggs in a better way? How can the background of the picture or product be set up to look more appealing and appetizing? How can you add some SOUND from a CD by recording the ruckus of a flock of ducks? Is there a way to allow customers to FEEL the softness of the shell? What are ways to creatively allow future customers to TASTE the flavor of your eggs in a dish or take home one egg as a sample with a business card attached? Adding the sense of SMELL may be a little harder to come by because you probably don’t want to carry around a scented bottle of the barnyard smell but if you do have the ability to create a dish of aromatic cooking eggs to waft through a farmer’s market…more power to you! To conclude I’m going to close this chapter, 6 Tips to Selling Duck Eggs (+All the Facts), with a setup that could be put together at a local farmer’s market using each of the senses. Starting with the sense of sight, display your eggs in a way that is appealing. Instead of only piling up stack after stack of filled cartons on the corner of a table, open up a carton to display the eggs and think of what else you can add to make it more visually appealing, like laying a display of dried herbs over them. Also, display a basket of eggs with a pretty bow and a lovely cloth cascading out of the basket. Crack open a store bought egg and one of your eggs into a bowl and allow people to see the difference in color. This will also show the difference in size of the yoke of a duck compared to a chicken. Display the nutritional information of eggs from free-range, healthy ducks for people to clearly see and ask questions about. Some states don’t allow old cartons to be reused, so whether you use old or new ones, consider sprucing them up a bit. Add a ribbon with a business card attached to it. Even consider attaching an egg recipe to each carton. Remember, people love a little “to do” with any purchase they make. Make them feel special and provide a memory that they won’t forget. And when they don’t forget, they will keep coming back to YOU for their eggs. Bring along a CD player or hook your cell phone to some speakers playing some lovely barnyard sounds to engage and draw customers to your table. Allow them to feel the eggs displayed in the basket, and smell the herbs on the table. Using a portable burner, cook up some freshly laid farm eggs, season them and give those customers a sizzle to hear and a smell to behold! If possible, hand out a small plate for people to sample. Now all of these ideas can’t be used in all situations but with creativity and slight changes they can be used for any option you use to sell your eggs. Remember, times have changed enough that we need to do MORE than our competitors to stand out and be seen in order to sell our products. But your ducks are laying…and eating! So collect those eggs and let your ladies help pay for their upkeep! Ducks are fun, entertaining and it seems impossible to not own any even if a pond or creek is miles away. So it would be worth it to make a go of selling those eggs! 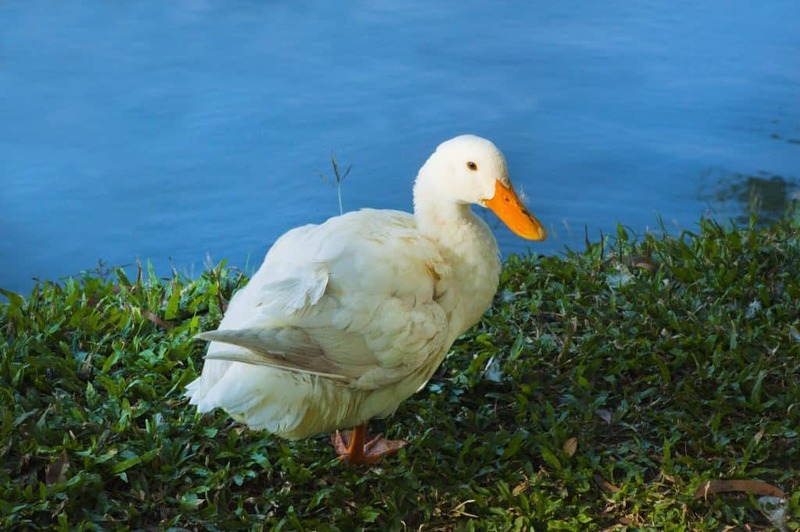 • 14 Duck Breeds You Could Own! • What Do Ducks Eat? « Surprising Facts About Guinea Fowl: Know BEFORE Buying! If you are allergic to chicken eggs, duck eggs taste the same and don’t seem to bother me allergy wise. I wish my store sold them!! Yes! I’ve heard that people with allergies can eat them usually with less or no problems! I wonder if there is someone in your area that has a few ducks tucked away and some ducks eggs for you? How do you handle the duck eggs to make sure they are good to sell? I’ve bought duck eggs from 2 different people & 1 store (summer only) & the one person I bought from on a couple of occasions the eggs were horrible!!! This was after boiling the duck eggs & it smelling rotten & it occurred 2 times & I stopped buying. Yuk!! The others I’ve never been disappointed. Husband & I are hoping to buy some land & we plan on raising & selling duck eggs, so I’m trying to learn how to make duck eggs sell & not be rotten. Thanks!